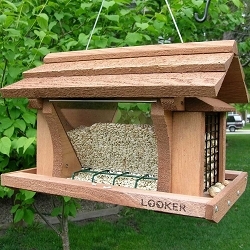 Quality crafted hopper style bird feeders. 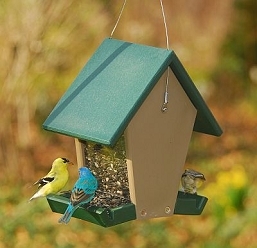 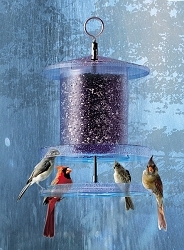 Decorative and functional hopper bird feeders. 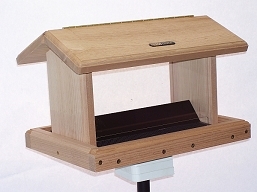 Our hopper feeders are constructed out of western red cedar, eastern white pine, metal, plastic or eco-friendly recycled plastic. 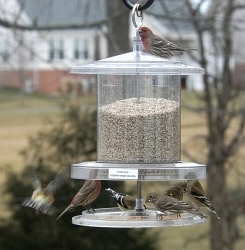 Hopper bird feeders can be hung, pole or post mounted. 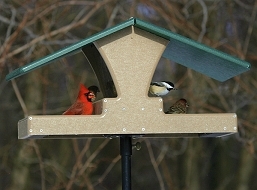 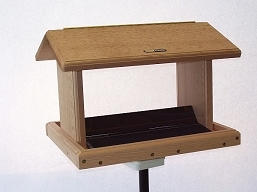 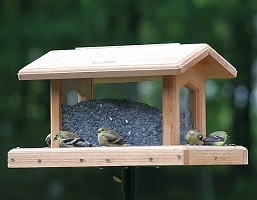 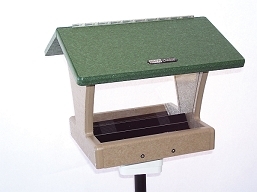 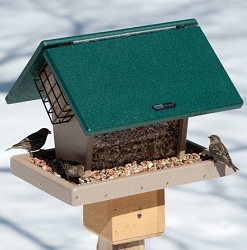 Hopper feeders attract a wide variety of birds and can be used to dispense any wild bird seed. 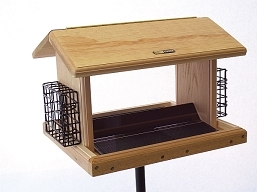 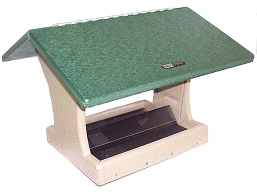 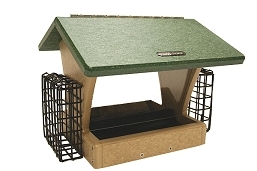 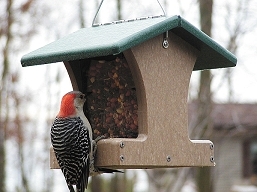 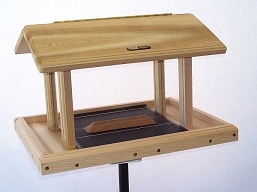 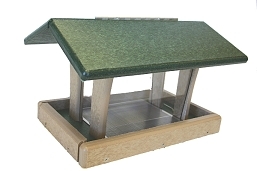 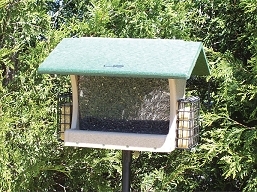 Some hopper feeders come with suet cages for feeding both seed and suet, and others are partioned so you can dispense more than one type of bird seed. 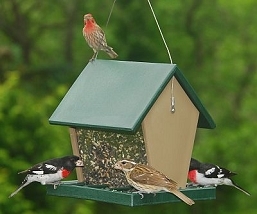 Seed capacities vary from under 1 quart to over 3 gallons. 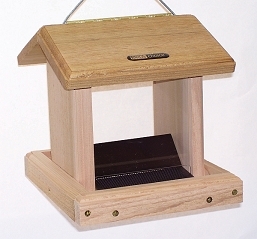 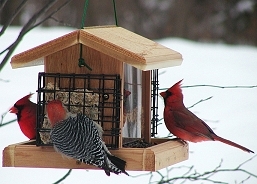 Hopper bird feeders are perfect for birds such as Cardinals and other species who love to perch while feeding.